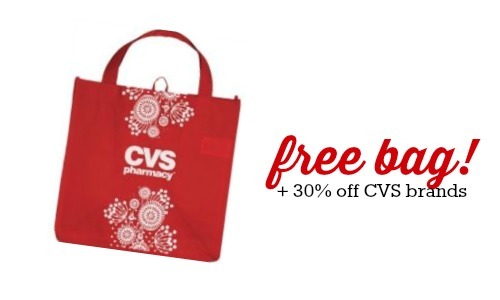 Head to CVS starting 4/26 and you’ll be able to get a FREE reusable CVS shopping bag! You’ll also get 30% off all CVS brand products that you can fit into the bag. To get your bag, go to the coupon center in your local store and scan your CVS card. You’ll receive a coupon for 30% off any CVS brand products. Your bag will be FREE with purchase (even if you purchase one small item). This deal beings on 4/26. Look through the CVS weekly ad to find more current deals.